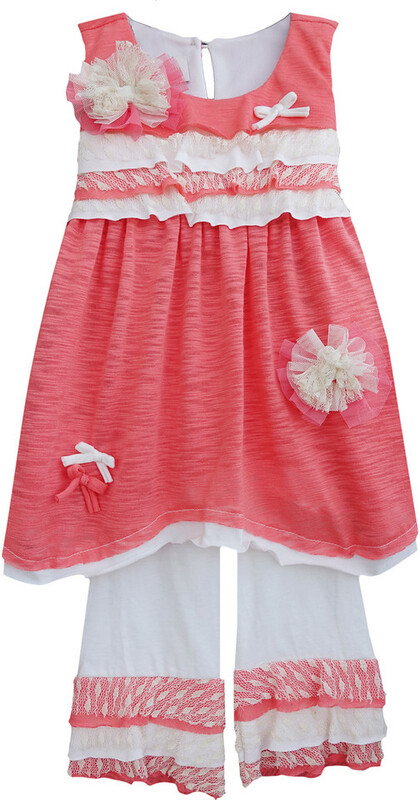 Gorgeous little girls soft cotton pink knit vintage style pant set features lace and mesh trims and flowers. Machine washable. Precious!